Covers chain, front and rear derailleurs. Easy click fastener for easy assembly using Velcro straps. Made from Supertenax 210/120, waterproof and no-stain fabric. Very good product. This cover helps to keep your car or travel bag clean during transport. 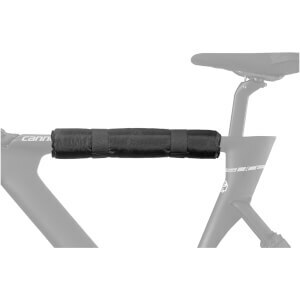 I already have the mtb case and single wheel covers which are very good - this product (Bicycle gear cover) however is not - you'd be better off using plastic bags! I purchased it online thinking that it may have some reinforcement around the chainring area to stop the teeth going through - it does not! - It is made of very thin nylon and way over priced for what you get - it isn't even easy to put on and when you feel the quality - (lack of) of it you just think that the chainring teeth will just cut through the first time you use it. I would recommend that you just use plastic bags because when your chainring teeth come through which they will! you'll at least not think I've spent all this money on this poorly designed and made product - On a positive note the wheel covers and mtb case are good. I do love it , everything stays clean, even in the car. That product is fantastic when i travel. the chain and back gear are protected . 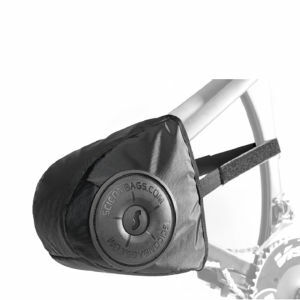 The Scicon Bicycle Gear Cover are a good protection from grease to protect for transportation. Scicon Bicycle Gear Cover does exactly what it says on the tin. Highly recommend.